Candid shot of Curt Lalonde and Vaughn Smith the Chairpersons for Burton Heats On. 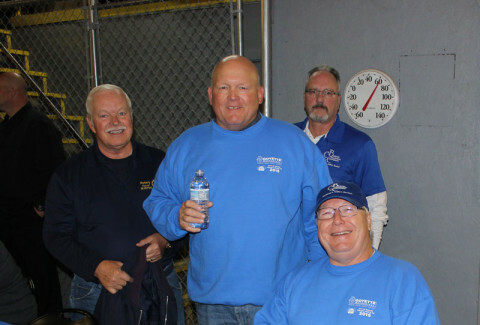 Project Heats On combines the efforts of Goyette Mechanical, The Burton City Council, Burton Chamber of Commerce, ELGA Credit Union, Burton Kiwanis, Goodwill Industries of Mid-Michigan, Burton Rotary, Gordon’s Food Service, All Trinkets and Printing, NASH FM – WFBE, and The Burton View Newspaper. All of these companies have come together in a great community service effort to provide needed heating system cleaning and repair for those who cannot afford the service. Applications for the program were made available at the Burton City Hall and appeared in the Burton View Newspaper. Applicants are selected by a committee of representatives from the participating organizations. Since 2009, Project Heats On has serviced over 250 homes in Burton. Many of these homes heating systems were in drastic need of repair and several homes received completely new furnace systems. In past years, Project Heats On was praised for identifying two separate homes with damaged equipment that were venting dangerous CO (carbon monoxide) into the home. Project Heats On volunteers were able to prevent a situation that could have led to the homeowner’s death. 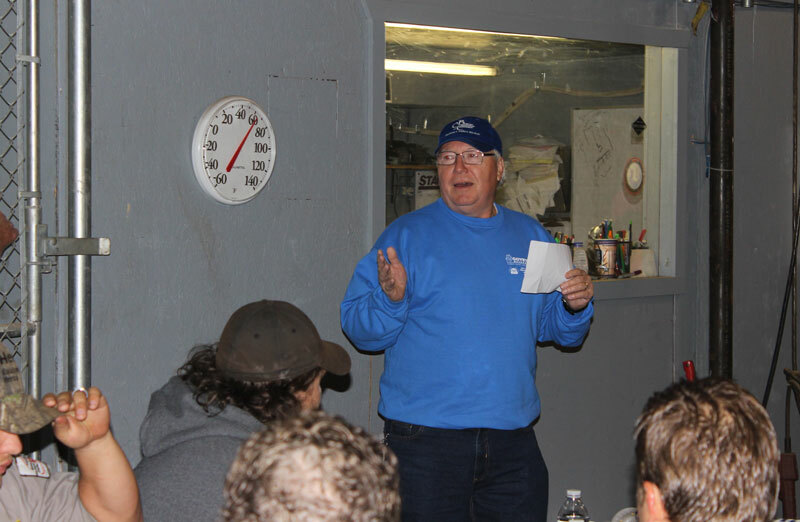 Each year over 20 Goyette Mechanical technicians volunteer their time to help make the program happen. Vaughn Smith addressing the volunteers and sponsors during the breakfast meeting. Curt Lalonde, General Manager for Goyette Mechanical helped launch the effort in this area. “This is our way of giving back to our community, to help people who are in need and to make certain no one goes without heat this winter.” “This is a group effort and could not be accomplished without the dedication and help from our entire supporting cast.” Burton City Councilman and Project Heats On spokesperson Vaughn Smith appreciates the impact for Burton Residents. “The home owners selected have recently lost jobs, are on a very limited income and would run the risk of having no heat for their family,” “this program does a lot of good for good people that just need a helping hand”. The entire Project Heats On volunteer group will meet Saturday October 10th at 7am at Goyette Mechanical to share a breakfast and go over final plans for the day. By 8am, multiple crews will be hitting the streets of Burton to provide the much needed furnace service and repair for dozens of area homes. Because of the overwhelming support of volunteers and sponsors, the entire event will be completed that day.